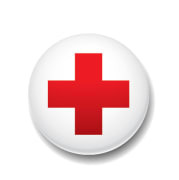 Volunteers carry out 90% of the humanitarian work of the American Red Cross to support its mission to prevent and alleviate human suffering. There are many ways you can volunteer in your local community, and we are always looking for people with various backgrounds, talents and skill levels . We have diverse volunteer opportunities in Blood Services, Disaster Services, Service to the Armed Forces, Communications, and Volunteer Services.